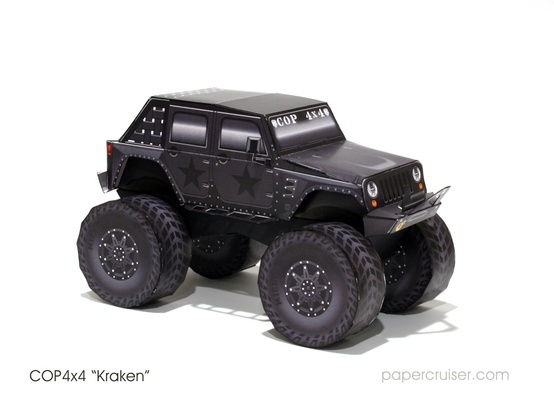 This Jeep JKU (Wrangler, 4-door) is one of the largest anywhere, sitting high atop 54″ Mickey-Thompson tires. 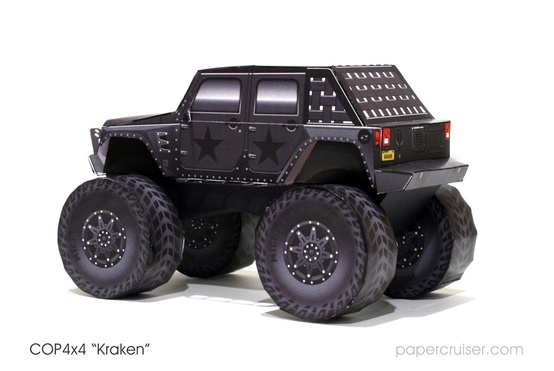 This blacked-out monster Jeep also features Smittybuilt fenders and side armor, custom front and rear bumpers, and netting across the open back. 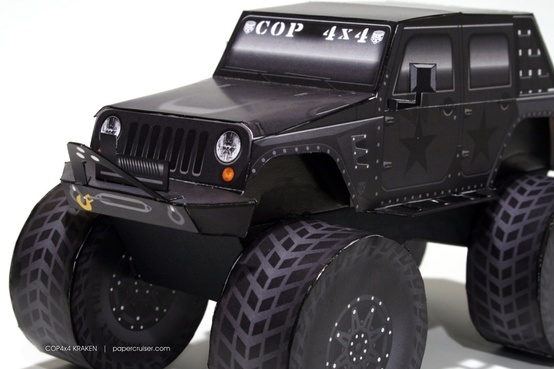 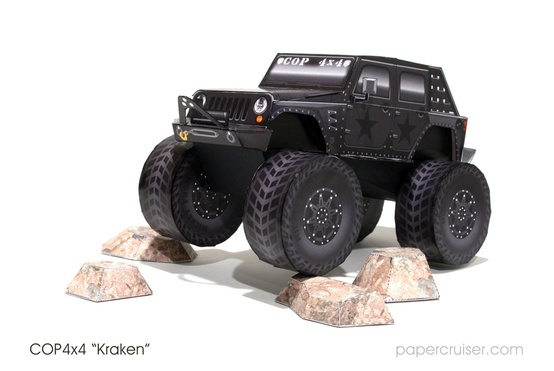 This truck was created exclusively for COP4x4 – a Jeep builder from AZ of certain renown.